We have successfully made the transition from camp to construction. It was a good transition for most. We went out to the Ruby Ranch, which is the Buzbees latest ministry venture. God has provided them with over 400 acres that they are hoping to develop in a number of ways to expand their current scope of ministry with outdoor activities, camps, recreation, farming and more! 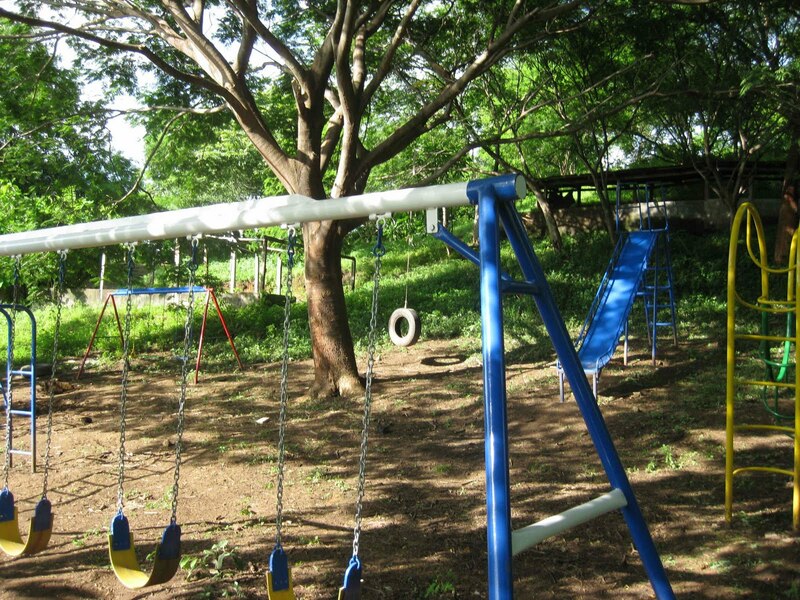 It is located right in the heart of Las Parcelas, which is the community where we took kids to camp from. We did see a few of them just traveling through, but our efforts were focused on clearing an area around the playground and then also one of the trails that leads to the top of a beautiful ridge. It was a day of hot, hard work, but God would renew our spirits with a breeze when needed most. This community will benefit greatly from the Ranch and the Buzbees doing ministry out there. Our camp really opened some doors and I’m sure will continue to. Brinson and I went over to reconnect with the Headmaster of the school (who camp to camp) to see about projects we could do at the school. She told us how much camp impacted her students and how the parents can’t wait to meet us and thank us. So we are looking forward to working there tomorrow and seeing where God’s Spirit is leading us to serve. Our team time at night has been really powerful as we are opening God’s Word together and having ‘iron sharpen iron’ in our small group time. It is evident that God is working in our students hearts… and our leader’s hearts as well. Also, our time alone with God each day has been so incredible. To sit in silence and solitude – with God’s Word open and in prayer – in such a beautiful place is renewing. I’m so encouraged to see our students taking this time seriously and asking God to meet them and speak to them each morning. We are past the halfway point in our mission. I’m sure it is getting hard on some of the students being away and I’m sure on some of the parents and families who are back in the States. Please continue to pray for the unity of our team and for God to strengthen us (and the families) for the remainder of this mission. We are still praying big prayers and asking God to do a big work in us and through us. Thank you for standing with us in prayer!